Is it OK to pee just-in-case?? Tips to keep your bladder healthy! Up to 4.8 million Australian experience bladder problems. This is more than the incidence of heart disease, diabetes and epilepsy combined. Although usually not life threatening, this can enormously affect on someone’s quality of life. Men and women, young and old can be affected. Despite being so common it is still not as openly talked about and many people don’t get the help they need. 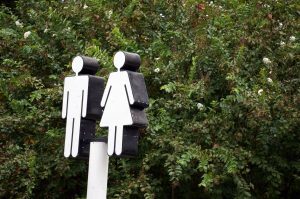 Understanding how the bladder works is an important step in keeping it healthy. The bladder is a storage organ that sits within your pelvis. Urine is made by your kidneys and is stored in your bladder. Nerves carry messages from the bladder to your brain to tell it when it is beginning to feel full. In response, your brain will let you know that you need to consider going to the toilet and at the same time it will tell the muscles to remain closed until you get there. When you decide to go to the toilet your bladder outlet muscles (urethral sphincter and pelvic floor) relax and your bladder contracts (squeezes) emptying your bladder of urine. What are the signs of a healthy bladder? take your time to empty. Relax. Don’t strain. drink at least 1.5L of fluid per day, and more in hot weather or when you are exercising. Fluid counts as everything you drink, but water is best. reduce things which may ‘irritate’ your bladder. This includes any caffeinated drinks (such as tea, coffee, cola), alcohol, fizzy drinks and drinks containing artificial sweeteners. avoid constipation, eating a healthy diet with plenty of fruit, vegetables and dietary fibre. If you have any specific concerns or are experiencing any symptoms, such as urinary frequency, urgency, waking up several times a night needing to void, incontinence or difficulty emptying your bladder, a pelvic floor physiotherapist may help you with this. 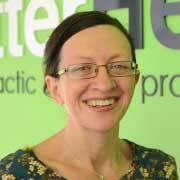 This is a physiotherapist who has undertaken specialised training in this area and is able to provide specific advice to help you. They can also assess your pelvic floor and may give you exercises which can help with this problem. /wp-content/uploads/2016/05/Screen-Shot-2016-05-04-at-2.42.43-pm.png 0 0 Main_User1 /wp-content/uploads/2016/05/Screen-Shot-2016-05-04-at-2.42.43-pm.png Main_User12017-09-07 03:40:272017-08-24 01:52:24Is it OK to pee just-in-case?? Tips to keep your bladder healthy!